It's no secret that I love reading aloud to my students (I'm pretty sure I start every read aloud blog post like this #sorrynotsorry). Reading aloud is so important for the reading development of our students. See my blogs posts >>HERE<< and >>HERE<< to see why. Anyway, I like to start reading aloud to my students on the first day of school. Yes, THE VERY FIRST DAY OF SCHOOL! I love getting into the routine of what read alouds look like so I start with them from the beginning and read a lot of books the first couple of weeks. These are some of my favorites you should definitely check out. **Click on any of the book images to be taken to Amazon. This post contains affiliate links from Amazon. By purchasing an item on the Amazon site using these links, I will receive a small commission on your purchase. This helps me to continue writing this blog and providing you with these tips and ideas. Thank you! The first day of school and a new year can bring a lot of nerves and anxiety to everyone involved, teachers and students. I love to begin our year by reading aloud books that normalize these feelings and help us get to know each other. Building a community from day one is so important so I like to pick books that support that mission. This is typically my very first read aloud. The students don't expect the surprise at the end. We do a lot of talking about different feelings we have on the first day and how those feelings change throughout the day and into the next day. 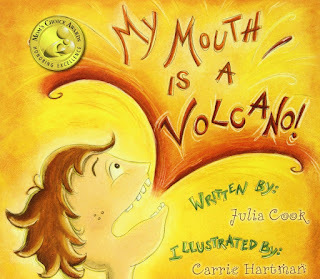 Want an Interactive Read Aloud & activities for this book? Click >>HERE<<. 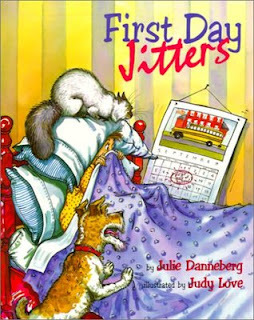 This is the other read aloud book I typically read on the first day of school. Because I teach first grade, my students can really connect with this book. 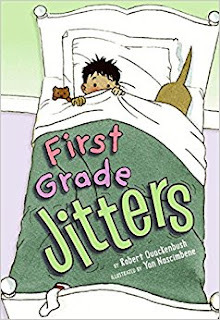 We discuss what they think first grade will be like and make connections to First Day Jitters. We also talk about what jitters means. 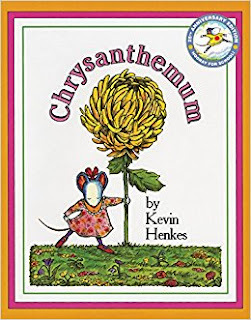 I love Kevin Henkes and I love this book! This is a great one to talk about our names and how our names are special to us. We do a bunch of name activities including learning the names of everyone in our class, learning how to spell and write our own names, first and last, and discussing the number of letters and what all of the names start with. See my Interactive Read Aloud Resource >>HERE<<. Teaching behavior and routines are so important the first month or two of the school year. By teaching routines now, you are setting the stage for a successful year where your students learn and know the classroom expectations. Routines and expectations make your classroom a safe place where students are able to learn. I can think of a student in my class right now, who I can't wait to read this book to. This book makes blurting out understandable to kids and why it is not OK to do. I LOVE this book and read it to my kids several times a year when our blurting out starts to erupt again. Check out my IRA & behavior supports for this book >>HERE<<. This is another favorite for teaching behavior and expectations. 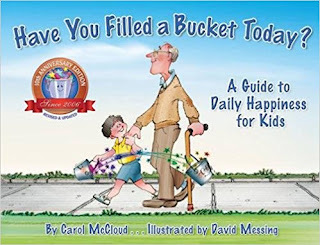 Being a bucket filler means you are being nice and kind and helping people. This book explains being respectful in a kid friendly manner. I use this book ALL year, but we start using it at the very beginning of the year. Want more resources for this book? Click >>HERE<<. This is a new book I added to our read aloud selection at the beginning of this year. 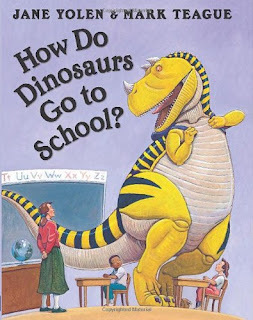 I enjoy all of Jane Yolen's books, but the How Do Dinosaurs series is just adorable. This year my kids seemed to really understand that we can be like dinosaurs and either make good choices or bad choices, it's up to us. I've heard several times talking about expectations, "we don't want to be bad dinosaurs." Teaching reading is my favorite thing about first grade. The growth of a first grader's reading abilities is astonishing. I like to use books to help us get reader's workshop started because who doesn't love a good read aloud. As with almost all of the books I read in class, we are stopping and interacting with the book. By doing so, students really understand what it looks like to learn how to read. I found this book several years ago and use it throughout the year for reading AND writing. It's perfect to start the year and teach our students how to read a story. We work so hard at the beginning of the year to get the routines down for independent reading and this book lends itself right into the work we do for that. 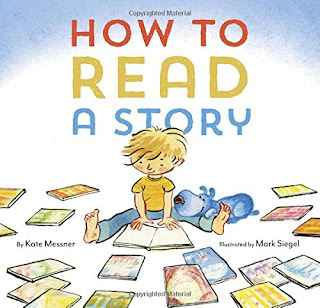 This book also works well when we do our how-to unit in writing workshop later in the fall. 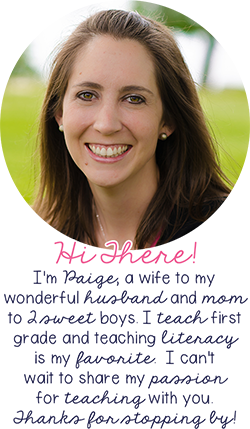 I have several resources in my store for teaching independent reading. Do you know Rocket? He's the pet every classroom needs. 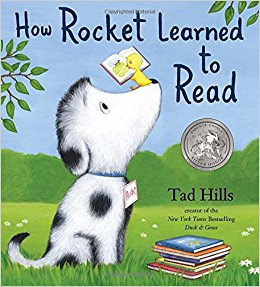 There are more books about Rocket, but this is a favorite. Rocket, with the help of his little yellow bird teacher friend, learns how to read. My students love anything with animals so this really hits home. It's an adorable book to add to your reader's workshop reading list. This is another cute one about a little slug who learns to read. This is usually my first reader's workshop book that I read to the class. 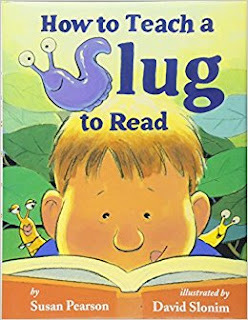 We talk about how this slug learned to read and we talk about how we're going to learn how to read too. We discuss what kinds of things we need to do to learn how to be better readers and set goals for ourselves as readers. Right behind my love of teaching reading is my love of teaching writing. Since going to NYC, Columbia University for Teacher's College Reading & Writing Project, my love of teaching writing has grown. 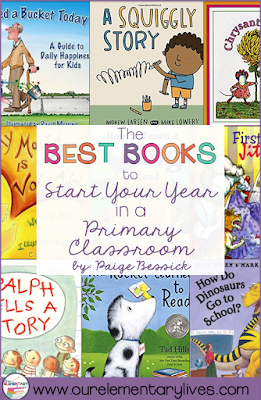 These are great books to get your students excited to write! 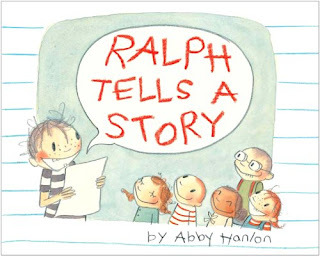 Ralph Tells a Story is probably the cutest writing book you'll ever read. It's about a boy who can't think of anything to write about until he has to share his story and comes up with a great one. This is so relatable to my students who often have a hard time coming up with things to write about. Ralph is definitely a lovable little boy who we talk about as if he were a friend all year long. Ahhh...another Rocket book. See I told you we love Rocket books. 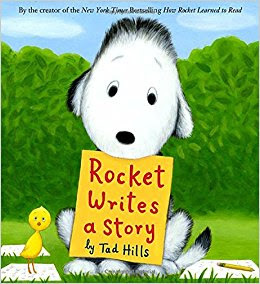 In this one Rocket learns to write. Like Ralph, Rocket is not quite sure what to write about until he meets a little Owl friend. With the help of his teacher, the little yellow bird, Rocket learns to write a story, just like our students do. We love Rocket! 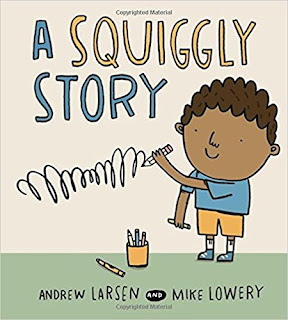 OK, I have to admit, this is a new one for me, but I am so excited to add it to our starting writer's workshop read aloud list. It's about a little boy who wants to write stories just like his big sister. She tells him that he's the boss of his writing and that a story can start with just a squiggle or a letter. This one is perfect for our kinders and first graders because this boy is at their same level. It's going to become a favorite, I'm sure. 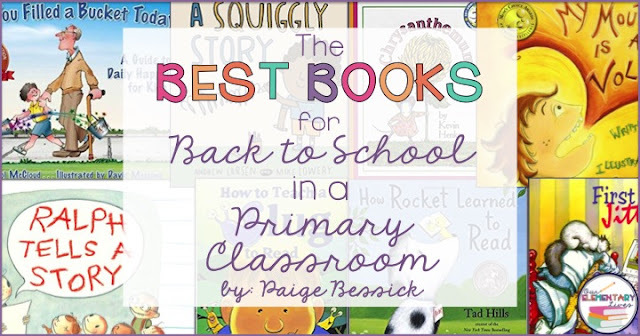 So there you have it, the best read alouds to start the year in a primary classroom. There are a ton more books that I read in the first couple of months, but these are definitely my favorites and the first ones I usually pick up to read to my new class. What books do you use? I'm always looking for new books to try. Just shoot me an email at ourelementarylives@gmail.com. I'd love to hear from you! As always, please pin and share if you found this blog post helpful. It's readers like you that I love for getting my content out into the world. Thank you!